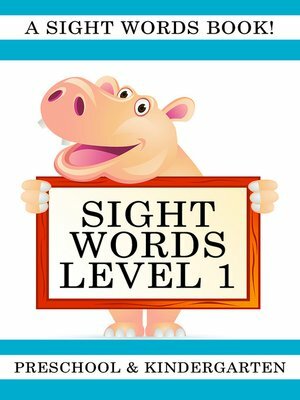 Sight Words Level 1: A Sight Words Book for Preschool and Kindergarten' teaches your child sight words in three easy-to-use word sets. The books in this 'Sight Words Book' series has been organized into 5 levels. This book teaches level 1 and contains 42 sight words. As educators have found that teaching only a few sight words at a time is the best way to increase success, the book includes 3 sets of words, allowing your child to work through and master one set at a time or work through all the sets in sequence. The book features a charming character, bright colors and large, bold text to help make the learning process fun. After mastering the words in all 5 levels, your child will be a more confident beginning reader and will be ready for reading and writing in elementary school. Keep in mind this book is set up in a quick and easy to use flash card format to help your child quickly spell and read new words as they learn them. Look also for our Level 2, 3, 4, and 5 Sight Word Books!